"I think that mental health is your problem here," President Trump said yesterday, in response to the shooting that left 26 people dead at First Baptist Church in Sutherland Springs, Texas. It's become an increasingly common refrain in the wake of mass shootings. And mental-health advocates are getting a little tired of this pattern. Why it matters: "It really hurts a lot because one of the things we always have said in the aftermath of these kinds of tragedies is, you cannot equate mental illness with violence," said Paul Gionfriddo, the CEO of Mental Health America. Gionfriddo said the response to this shooting has been particularly frustrating because, while mental illness isn't a predictor of violence, a history of violence is — and the shooter, Devin Kelly, reportedly had a history of domestic violence. While "mental health" is usually mentioned in these situations — usually vaguely, and as an alternative to gun control — Congress has rarely gone on to actually improve the mental health system. "If you really want to think about what these violent actions mean in terms of mental health and mental health services, you've got to look at the victims," he said. 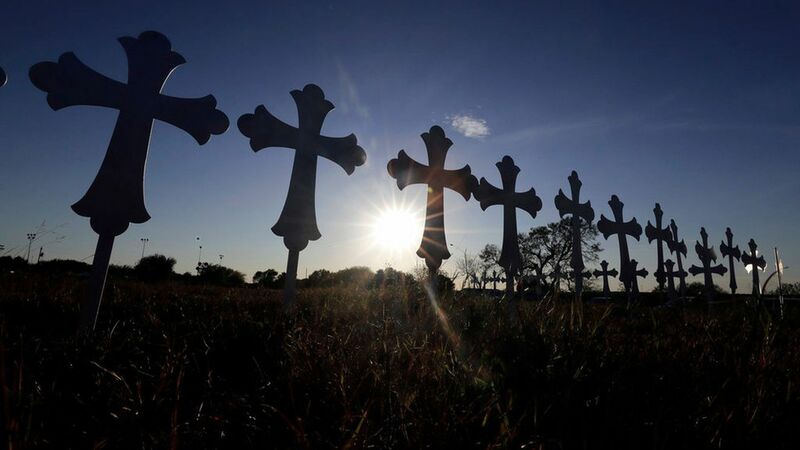 People wounded in mass shootings, and victims' families, emerge deeply traumatized. "These wounds will not heal on their own." But it might be getting better. I asked Gionfriddo how frustrating it is to see politicians, and much of the public, associate mental illness so closely with mass shootings. His answer was both optimistic and profoundly depressing: More people have started to ask that question, he said, in the wake of more recent mass shootings. Two or three years ago, he said, hardly anyone pushed back to mention the millions of people who suffer from mental illness but are not violent. But he's seen more people make that point more recently. "I realize I've got to say this 100 times before some people will hear it the first time," Gionfriddo told me. "I don't mind saying it 100 times. I'll say it 1,000 times, 10,000 times."